Update on April 2, 2018. Then the Skyway takes you and your vehicle a hundred feet in the air, affording an exhilerating view of Gary, Indiana: deserted mills, refineries sending flames into the night sky, expanses of industrial miasma, abandoned by the knowledge economy. Take the route through Northern New Jersey that flies by the car window of Tony Soprano, and you too may feel a drop in your gut and an exhileration in your chest. There are few sights more disheartening or inspiring than driving through America's industrial wastelands. It was here that landscape architect and vanguard of the bioremediation movement, Julie Bargmann, grew up -- cruising through the New Jersey Turnpike, under powerlines, past the oil refineries and through America's dumping ground, The Meadowlands. According to Wikipedia, Bioremediation can be defined as any process that uses microorganisms, fungi, green plants or their enzymes to return the environment altered by contaminants to its original condition. It is the biological flip-side of adding chlorine to the water of swimming pools so that it can break down into lots of bacteria-fighting chemical compounds. Bioremediation may be employed to attack specific soil contaminants, such as chlorinated hydrocarbons that are degraded by bacteria, or a more general approach may be taken, such as oil spills that are broken down by multiple techniques including the addition of nitrate and/or sulfate fertilizers to facilitate the decomposition of crude oil by indigenous or exogenous bacteria. Now she dedicates her research and practice, D.I.R.T. (Dump It Right There) Studio, to taking on abandoned railyards, closed quarries and landfills, disused factories and former coal mines. And with more than half a million contaminated sites in the US alone, there's a strong argument for remediating what's been used, rather than sprawling out and building new. Her practice is a critical one, which means there's no erasing the evidence. Instead, she works to transform the waste produced by a century of manufacturing and consumption into something culturally and ecologically productive. She's got a pink hard-hat and a quick wit, and a willingness to get her hands dirty and talk about things like "beauty," in a way that redefines it for us all. Julie Bargmann is internationally recognized as an innovative designer in building regenerative landscapes and with interdisciplinary design education. Her on-going design research Project D.I.R.T. (Design Investigations Reclaiming Terrain) continues to excavate the creative potential of disturbed landscapes. Design research infuses projects at the D.I.R.T. studio (Dump It Right There) where past and present industrial along with urban processes lay the groundwork for ecological systems, cultural constructs and emerging technologies. From closed quarries to abandoned coal mines, fallow factories and urban railyards, Bargmann joins teams of architects, artists, engineers, historians and scientists to imagine the next evolution of these working landscapes. 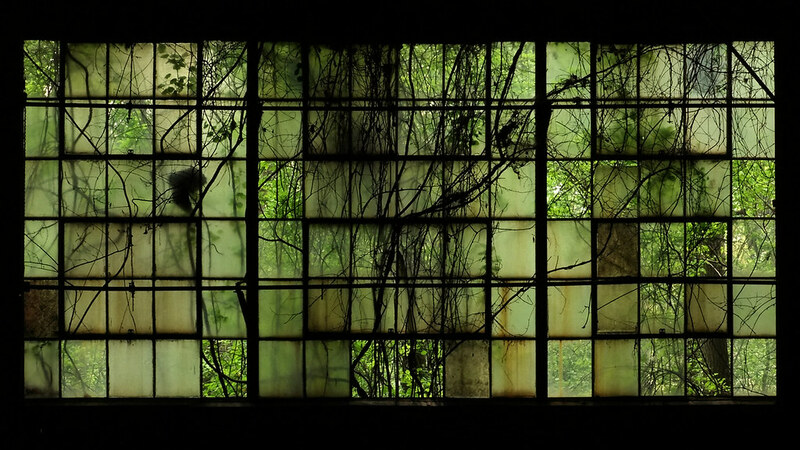 "That experience of profound beauty amidst industrial decay encapsulates our changing perception of land. It's unmistakable in contemporary art such as Ed Burtynsky's Manufactured Landscapes or The Canary Project's photos of altered geographies, which portray places we'd once have concealed from public view, and surely never granted status as art."